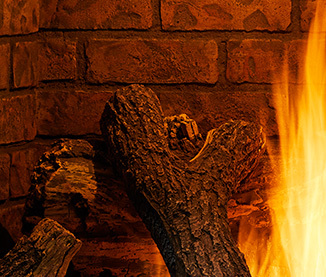 Just you and the fire. 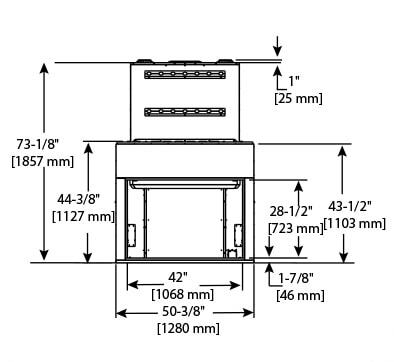 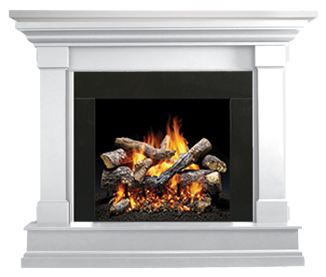 The patent-pending design of the Legacy TrueView Series provides a large, traditional fireplace opening with a clear view of the fire without any glass. 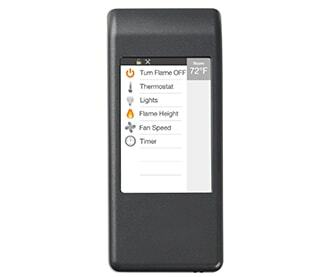 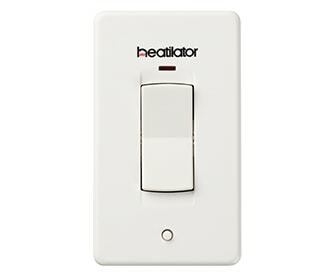 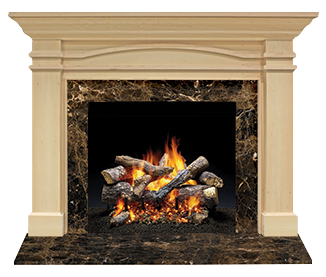 Mild heat and easy, one-touch operation allows you to comfortably run your fireplace year-round. 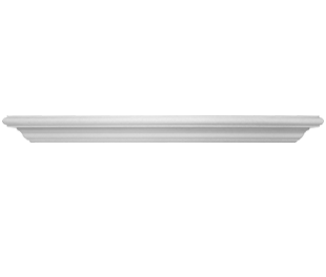 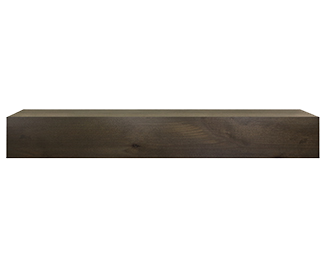 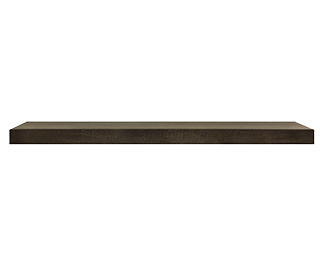 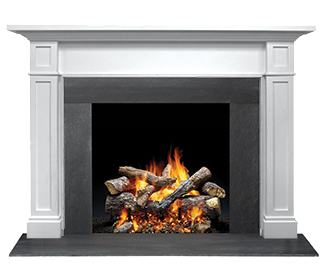 Plus, it offers design flexibility to safely place a TV just 12 inches above the fireplace without a mantel. 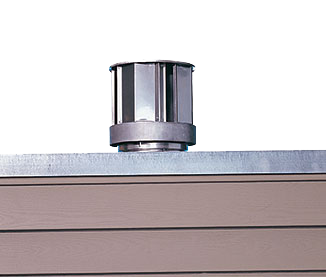 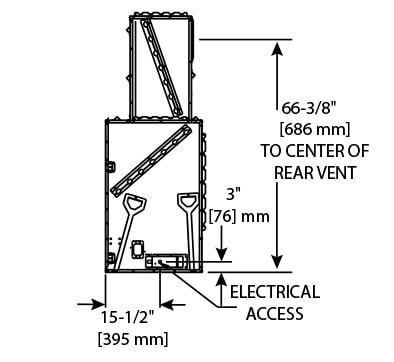 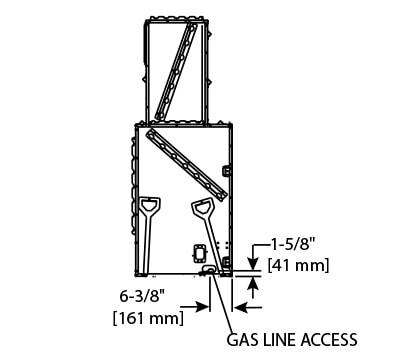 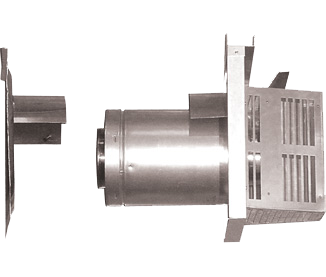 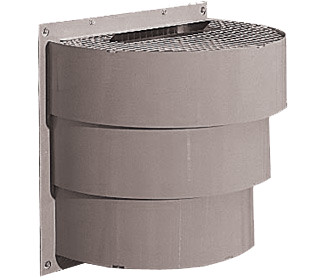 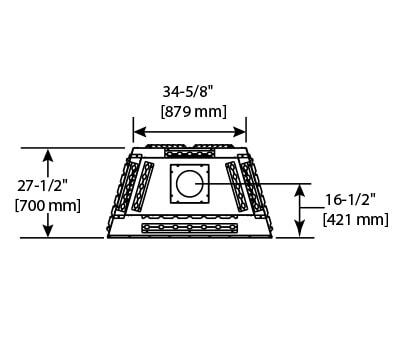 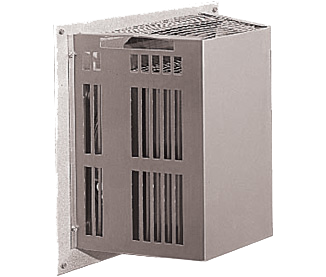 Patent-pending system which allows airflow with minimal sound, the ability to horizontally terminate, and an automatic damper which stops air movement when the fireplace is off, thus preventing cold air infiltration into the home. 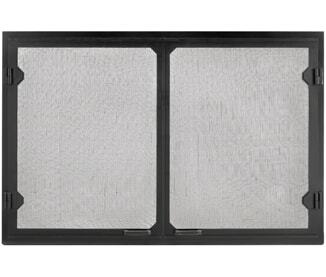 A set of operable mesh doors. 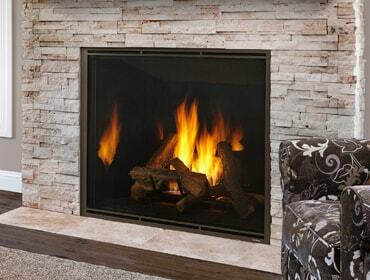 Our interior panels offer an authentic appearance with remarkable brick detail. 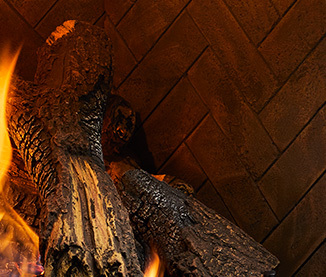 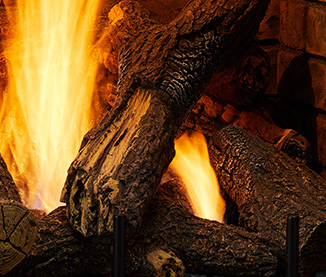 Premium cast logs and large fire create an authentic fireplace experience. 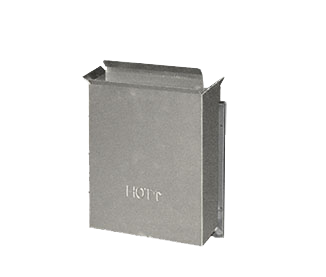 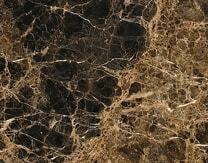 An impressive selection of designs are available in a variety of material and finishes. 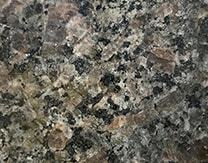 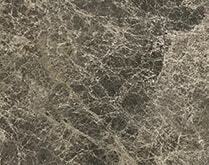 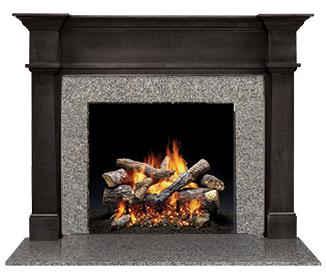 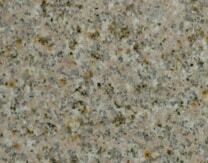 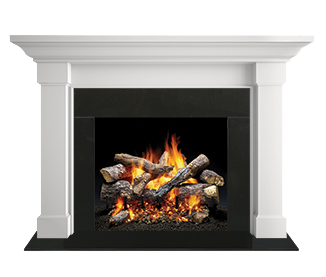 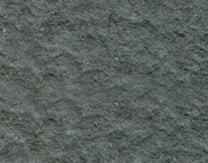 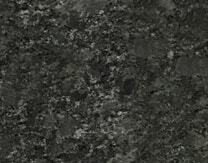 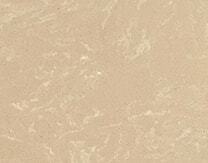 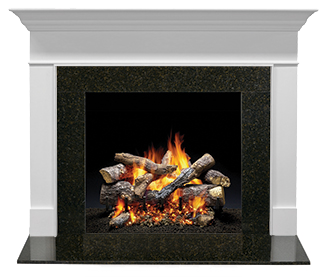 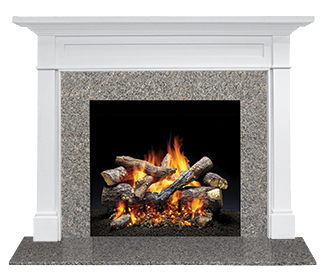 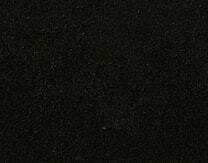 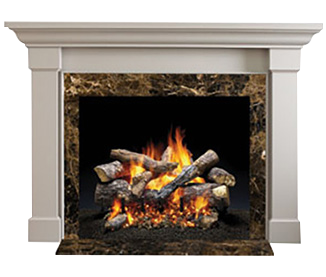 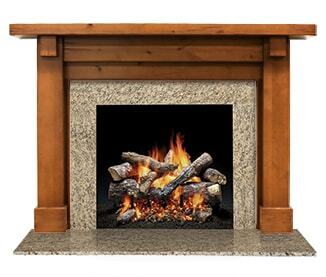 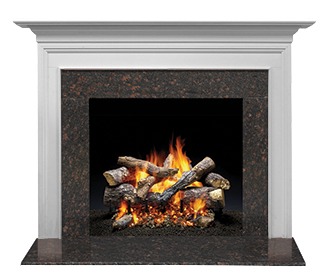 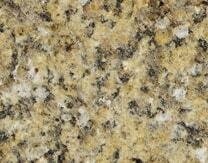 Enhance the beauty of a fire with natural stone surround options in marble, granite and slate.